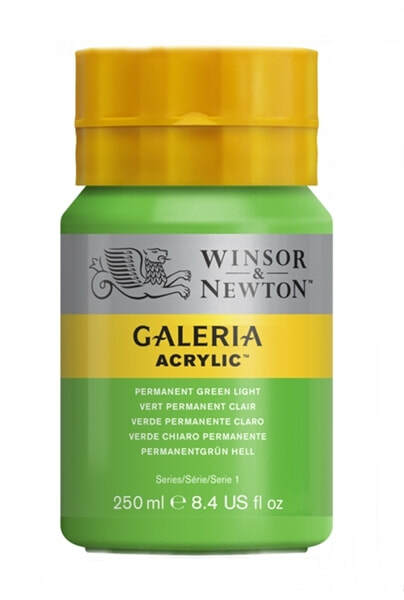 Our Galeria Acrylic are wonderfully affordable and yet impressive in their vibrancy and quality. We've made them with a high level of pigment and created opaque versions of some naturally transparent colours. You'll find their texture buttery enough for quick and easy coverage, but thick enough for brush marks to remain, should you want them. * Can be used on large scale works such as scenery, theatre sets or murals both for indoors & outdoors. 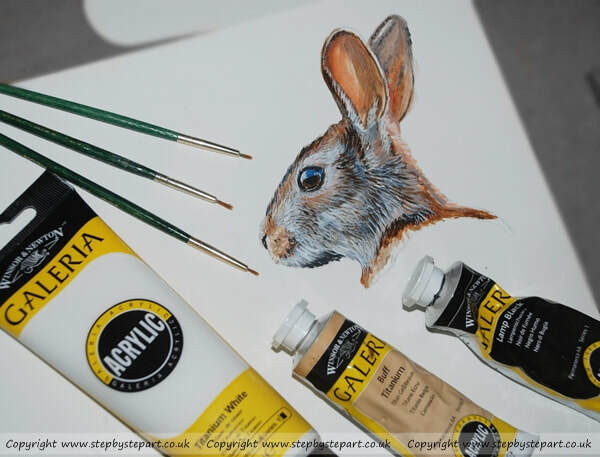 * Created from synthetic pigments meaning the colours can be thinner than Acrylics made from natural pigments found in a professional range. * Thickness of the paint can be slightly thinner than an expensive, professional range. * Stains clothing, ensure you protect your clothing with an apron or smock. * The shape of the 250 & 500ml lids can cause be difficult to remove if you do not keep the pot threads clean. 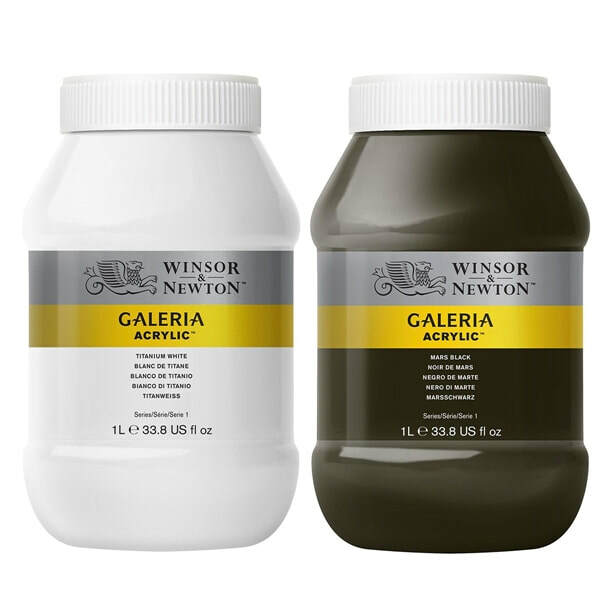 Although the Galeria Acrylics are sometimes referred to as student grade, the high levels of pigment deliver professional results with significantly better strength and covering power than many similarly priced brands. 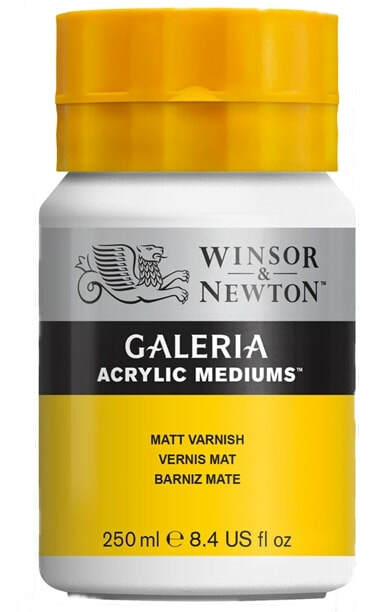 Galeria gives artists from professional to beginner a good correlation to artists' acrylics, making it easier in the transition to artists' grade when a wider choice and even higher pigment strength is needed. 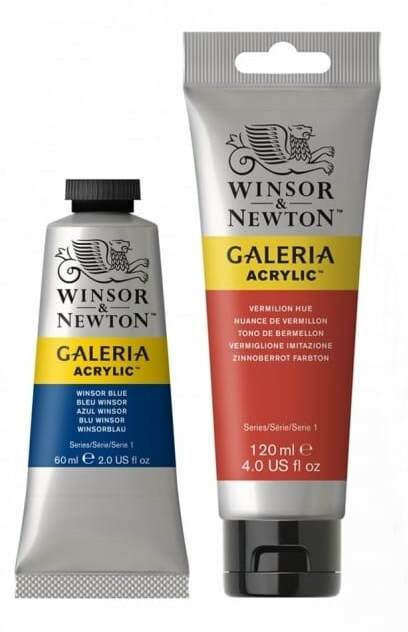 These paints can be used straight from the tube/pot or thinned or thickened with a medium or water - this variety in consistency makes Galeria suitable for both Oil and Watercolour techniques. Here are a few examples of Acrylic paintings where I have used additional mediums for effect. 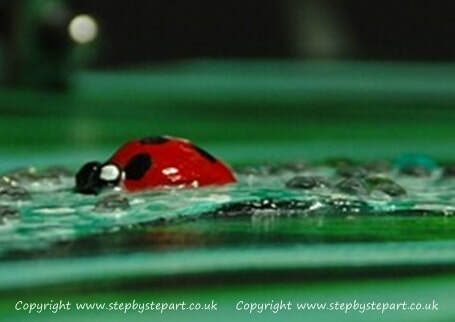 The ladybird in the painting was created with Heavy Carvable modelling paste, it can be manipulated into different shapes or you can create peaks by applying it with a palette knife too. 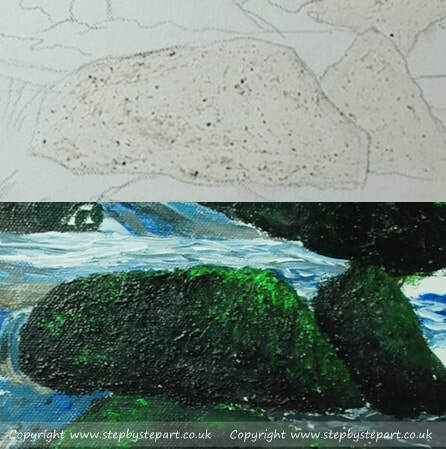 In the middle image, as i was creating a woodland waterfall scene, I first applied the mineral texture gel to all the rocks and left it to dry before painting over the top to create the tones of the rocks, this made the paint application much easier as I already had the realistic texture there. 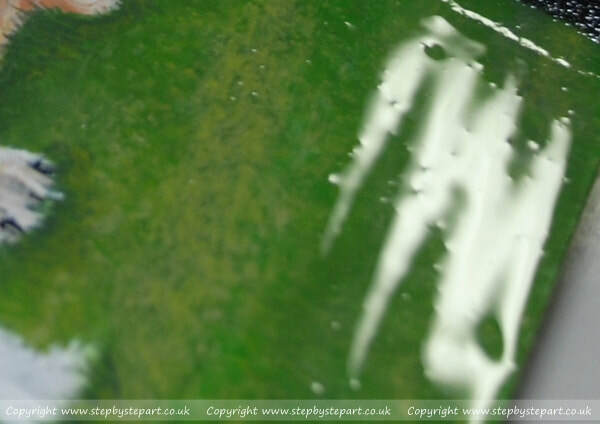 The final image is showing a layer of Varnish of which all Acrylic paintings should be protected with. Acrylic paintings are normally framed as Oil paintings and do not require glass within the frame unless preferred.